Are you searching for a best quality reconditioned engine for sale or do you need a low mileage used engine for your vehicle? Don’t worry! Welcome to engines4sale.co.uk; the best platform in UK from where you can get low mileage used engines or best quality reconditioned engines for all makes and models. We have bulk quantity of ready to use engines available every time. Whether it is a used engine or a reconditioned one, our quality control department always test and examine the engines through extensive quality checks to make sure the sold unit will give 100% efficient working results. To search a recon engine for your vehicle is already a hectic task, and to search it in reasonable range is to jump out of frying pan into the fire. Literally it is embarrassing because it takes time. We take the responsibility to make you avail with the best working and efficient recon or second hand engines. You are able to get engines at lowest costs. Buying a reconditioned engine in best quality even at the lowest cost is not the final solution of the problem. Wait… What is Left Behind? What to do with the engine if you don’t get its supply and fit service? It is useless. Engines for Sale offer engine swap service at normal charges. We have the pool of experienced and specialized engine replacement staff and they change your old engine with the fresh reconditioned engine is simple and fast process. Not only this, if you want engine delivery to your doorstep or some specific place, Engine 4 Sale provides engine delivery service all across UK. Going to the market and searching for the “replacement engine” is not a big deal. 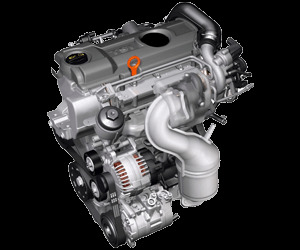 But the real twist arises from where you get top quality efficient engines at the lowest rates. 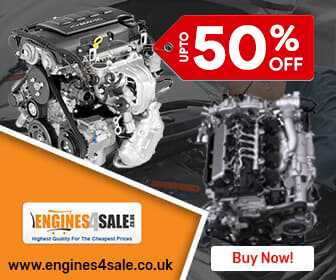 Engines4Sale.co.uk is at the top of the list. Come and get the best engine for your vehicle and we can save up to 35% on entire engine stock. We always focus on quality and customer’s satisfaction. That’s why buy any used or reconditioned engine from us and get a free and standard warranty from 6 to 24 months. Guaranteed low mileage used engines sold after complete testing. Our reconditioned engines are completely checked and their faulty parts are replaced with the genuine OEM parts. Normally, the warranty period with recon engines is higher than the warranty period of used ones. We will find the best Price Quotes for you.